UVA – The Park Rec Fields – Charlottesville, VA – Target Technologies International Inc. The Park Rec complex is situated on the grounds of the University of Virginia and is available for use by the entire University community. The complex offers a full scope of sporting activities such as football, soccer, lacrosse, field hockey, softball, baseball, volleyball, basketball, tennis, aquatics and more. This location is also an ideal setting for tournaments, running/walking, special events and picnics. Meeting UVA’s core value of “Taking pride in the beauty of our grounds, the grandeur of our buildings and the quality of our work”, this multi-use facility offers excellent opportunity to UVA’s community for all sports and recreational activities. 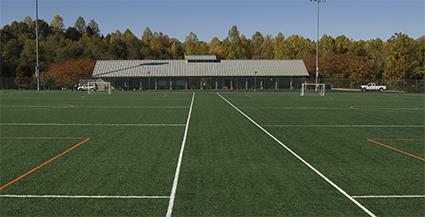 TTII is pleased to be a contributor of our high quality infill material to UVA – The Rec Park Fields.